Copenhagen, Denmark – 24 April 2018 Monsenso is happy to announce the involvement of our mHealth solution in the Horizon 2020 Funded ECoWeB Project. 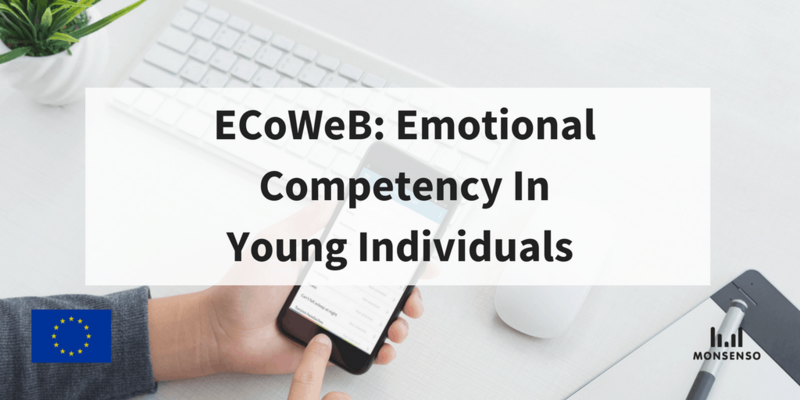 The ECoWeB project aims to provide a comprehensive and personalized mobile app that will train young individuals in enhancing their emotional control skills and minimizing their emotional deficits. Monsenso’s mHealth solution is the foundation for the project. The app will work closely with the 3 major components of Emotional Control: Production, Regulation & Knowledge. It is hypothesized that interventions based on such comprehensive assessments will efficiently increase resilience toward adversity, promote mental wellbeing and act as a primary prevention for mental disorders. “The Monsenso mHealth solution offers a perfect foundation for the ECoWeB project. I am confident that the routine monitoring, and high customizability of the solution can be modified to help young individuals enhance important emotional competency skills.” says Ed Watkins, Professor of Experimental and Applied Clinical Psychology at the College of Life & Environmental Sciences for Exeter University. This project adopts a new approach to the fundamental understanding of emotion, by combining a highly personalized approach to understanding the individual and leading digital technology. This innovative approach has the potential to deliver a breakthrough in the effective prevention of mental disorders. The use of the theoretical model of normal emotional functioning (The Emotional Competence Process) to guide the identification and targeting of emotional competence mechanisms implicated in both the mental wellbeing and psychopathology for young people. Mobile application delivery intended for scalability, accessibility and adaptability in younger populations. “This project is exciting because it diversifies the usage of our solution. In addition to providing a supplement for treatment in clinical practice, our solution will now be able to also be used independently to provide personalized prevention.” says Thomas Lethenborg, CEO at Monsenso. The project was developed in response to the need for more robust evidence on resilience factors and effective interventions for young populations, in addition to the need for scalable approaches to mental health interventions that are accessible at a population level. The project is presently ongoing. This project has received funding from the European Union’s Horizon 2020 research and innovation programme under the grant agreement No.754657. Copenhagen, Denmark – 16 April 2018 Monsenso is proud to announce our participation in R-LiNK – the major new study for developing a more complete understanding of the reactions and effects of taking lithium. As a part of this study, our solution will be implemented for 300 participants across 15 centres all over Europe. Lithium is the leading treatment for patients with bipolar disorder. There is a large variability across patient responses when taking lithium. This variability makes it difficult for clinicians to predict how patients will respond to being prescribed lithium. “Lithium is the oldest drug treatment used regularly in psychiatry and one that has shown evidence of many benefits over the decades it has been used. However, only about one third of patients are “excellent” responders with a future two thirds showing partial or no response. 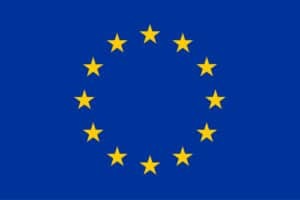 This large EU funded study takes place across Europe and aims to find out which “biomarkers” can be used to predict which patients will respond and for those whom lithium will not help,” said Professor Allan Young, Director of the Centre for Affective Disorders at the Institute of Psychiatry, Psychology & Neuroscience, King’s College London. 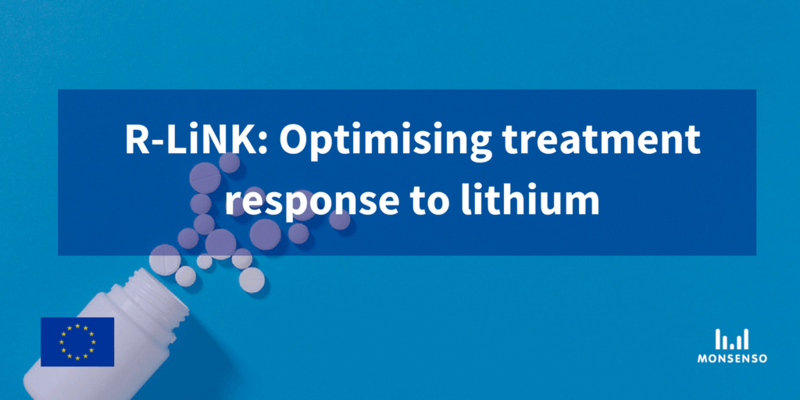 R-Link is a multimodal approach to studying lithium initiation, and identifying important biomarkers from receiving lithium treatment. The comprehensive study aims to identify factors related to better responses, safety, and tolerability of lithium treatment. The results of the study can help provide patients and clinicians alike with more accurate information to make informed decisions regarding the prescription of lithium, therefore improving the long term management and prognosis for bipolar patients. “Mobile health technology can provide new insight into the treatment of mental health and disorders, and mobile phone usage can also provide important new biomarkers for affective disorders.” said Professor Lars Kessing, of the Psychiatric Center Copenhagen and the University of Copenhagen, Faculty of Health Sciences. The Monsenso mHealth solution will be involved in the phase of the study that will conduct a qualitative and quantitative study on the acceptability and efficacy of connected ecological devices to monitor mood, lithium levels, symptoms, daily behaviour, and enhance patient adherence. Therefore, the solution will include data collection of lithium adherence and outcome/behaviour reporting (via sensor data and daily self-assessment). “Ensuring adherence to medical treatment on an individual level is key to a successful mental health treatment. Our mHealth solution will contribute to this study by promoting medical adherence, through providing easy, personalised self-monitoring and medication tracking, as well as medication reminders.” said Thomas Lethenborg, CEO of Monsenso. This study also has the potential to enable the personalisation of lithium based treatment. Findings from this study can also contribute to the overall prevention and reduction of unnecessary side effects from lithium treatment as well as overall ineffective treatments. Monsenso is now involved in more than ten pan European and domestic research projects in the mental health & affective disorders field. The study is presently ongoing. This project has received funding from the European Union’s Horizon 2020 research and innovation programme under the grant agreement No.754907. Monsenso will partner with On the Line to assist counsellors in helping clients self-manage their anxiety, bipolar disorder, borderline personality disorder, depression, post-traumatic stress disorder and schizophrenia. Copenhagen, Denmark – 19 December 2017 Monsenso, a Danish company developing mobile health solutions for mental health has partnered with On the Line, an Australian social health business. On the Line offers telephone, web chat and video counselling and social media moderation services 24/7 to more than 80, 000 people each year. 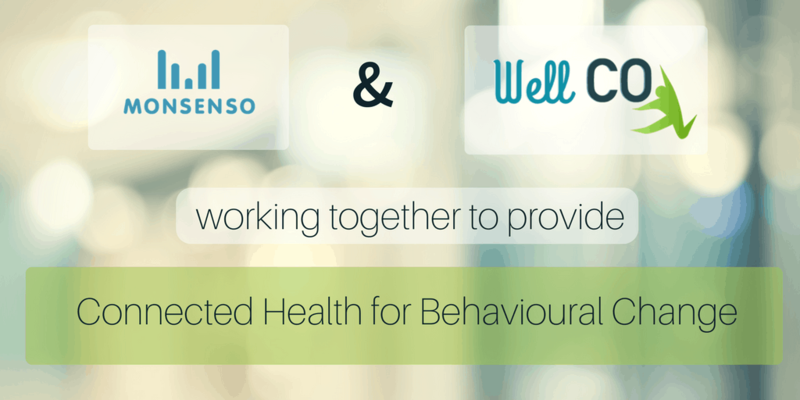 Monsenso’s mHealth solution will act as a proactive self-management app to strengthen the support and connection between counsellors and clients with a wide range of affective and psychotic disorders. Specifically, the solution will offer a detailed routine monitoring system to help On the Line counsellors access detailed information regarding clients. This information will help counsellors to support clients to better manage their health. Clients will be able to input mood level, hours slept, medication taken, exercise, stress and more and this data will be fed into the dashboard to give On the Line counsellors a historic overview and analysis for each client. On the Line has more than 55 years of experience in delivering mental health services to the community. It is the national provider of some of Australia’s most vital and trusted services, including MensLine Australia, Suicide Call Back Service and SuicideLine Victoria. On the Line helps encourage people to feel better by building resilience, fostering healthy relationships, and connecting people with community support. “The Monsenso solution will help counsellors to have a clearer picture of how their clients feel on a daily basis. 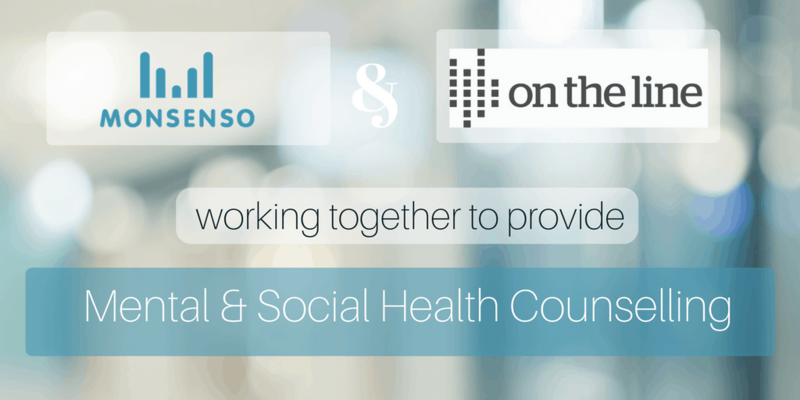 For our clients, it will help them to manage their condition, identify triggers and warning signs and empower them to better manage their social health and wellbeing.” said Kim O’Neill, CEO at On The Line. Click on this link to read this press release in Danish. 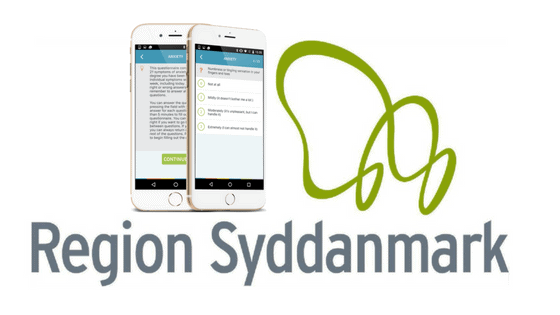 Region South Denmark Clinics will use the Monsenso mHealth solution to support treatment of individuals diagnosed with depression, anxiety, bipolar, schizophrenia, or borderline personality disorder. The Mental Health Services in the Region of Southern Denmark are currently rolling out the Monsenso mHealth solution to support the treatment of individuals with affective disorders. Monsenso is an innovation leader in mobile health solutions for mental health. Their mHealth solution is presently used by 25 clinicians across Mental Health Services in the Region of Southern Denmark to support the treatment of individuals diagnosed with depression, anxiety, bipolar, schizophrenia or borderline personality disorder. Thomas Lethenborg, CEO at Monsenso, said that the decision for the roll-out came as a natural progression of the collaboration between Monsenso and the Region of Southern Denmark Mental Health Services on the ENTER project and the Public-Private Innovation (PPI) Partnership. “Monsenso and the Region South Denmark have been working on different research projects for quite some time now; it’s only natural they decide to roll out our mHealth solution widely. By implementing Monsenso Clinic, clinicians will have access to patients’ historical aggregated data which will assist them in making better decisions in regards to a person’s treatment,” Mr. Lethenborg added. The Monsenso solution has been previously utilised during research trials at The Centre for Telepsychiatry in the Region of Southern Denmark. The mHealth solution is based on a double-loop treatment model. The first loop consists of a smartphone app operates as a self-management tool to provide the patient insight into how their actions may influence their disorder. Individuals can use the app to fill out routine self-assessments regarding their behaviour, such as logging the amount of hours they have slept. Additionally, the app also collects sensor data and sends helpful notifications for when patients are reporting behaviour that may trigger symptoms of their disorder. The second loop of the treatment model involves the clinician. Clinicians can access a web portal that is synchronised to the patient’s app. This synchronisation enables clinicians to efficiently access the data collected by the patients’ smartphones anytime and anywhere. This comprehensive double loop feedback system aims to increase patient engagement, awareness, and informed decision making during treatment. Compliance with this certification validates that Monsenso has implemented comprehensive information security practices that protect its users and their information in accordance with internationally recognised standards. The ISO 27001 standard ensures the secure management of customers’ information, intellectual property, and third party information by establishing methodologies and meeting key objectives for implementing information security. Monsenso underwent an in-depth assessment by a third-party auditor to validate compliance with this standard. Maintenance of the certification requires an annual review and a three-year re-certification, giving Monsenso users confidence that their data is continuously protected under these standards. 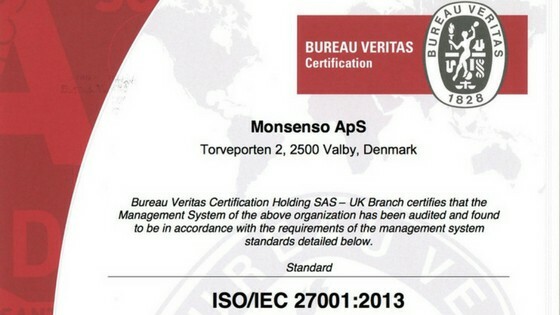 The previously obtained ISO 13485, and the ISO 27001 certifications were obtained due to the support received from the Market Development Fund (MMF) which granted Monsenso and its partners 2.9 million DKK to obtain the necessary certifications to launch the solution internationally. “This certification brings us a step closer to positioning Monsenso as a world-class leader in mHealth solutions for mental health,” added Mr. Lethenborg. Monsenso Clinic, which already holds a CE and TGA Mark, also became HIPAA compliant earlier this year, all part of the support granted by the MMF. Click on the link to read the press release in Danish.